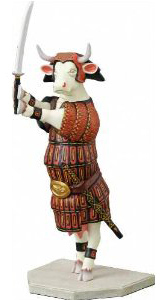 Looking for your daily cow? Read a book about pigs! I don’t have cable TV so I have limited possibilities of seeing a cow on TV in any day. However, having two little kids highly increases my chances of seeing a cow, or even stepping on one (I’m sure that day is coming!). 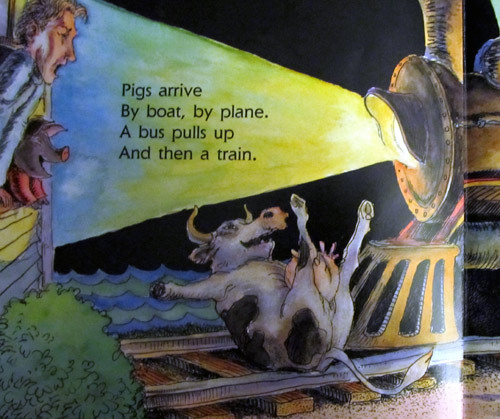 I found today’s cows (yes, there were two sightings today) in children’s books, which primary theme was, you guess it… pigs! I’m not sure how we’ve ended up with two books on pigs at the same time at our house, but that happens sometimes. 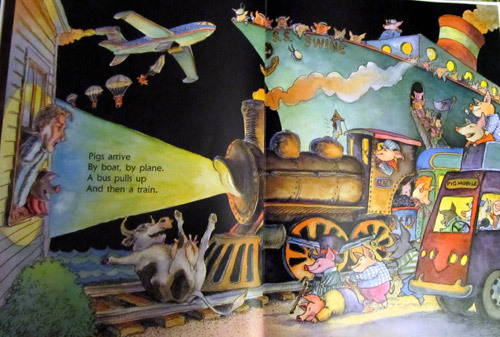 The first book is called Pigs Aplenty, Pigs Galore by David McPhail and is full of very funny rhymes. 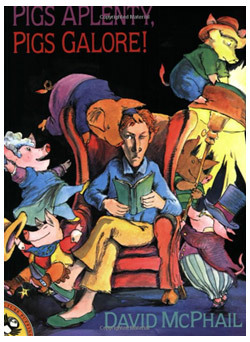 With such a title, you’d expect the book to be filled with pigs, and it is. 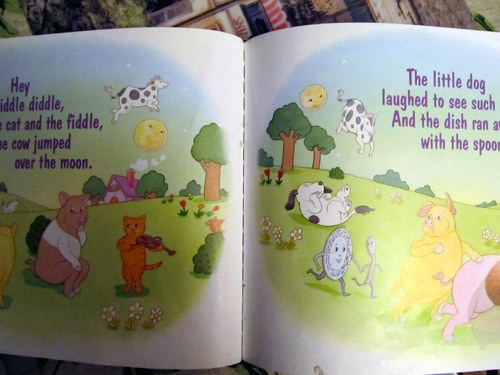 But somehow, a cow comes into the picture, literally, towards the middle of the book, surrounded by dozens of pigs joining the other pigs already into our main character’s house. 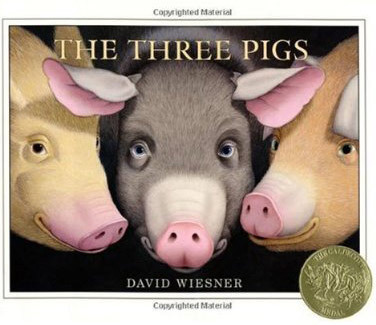 The second book is The Three Pigs by David Wiesner, who is such a talented children’s book writer and illustrator that he’s the second person to have ever won the Caldecott Medal three times! There you have it! 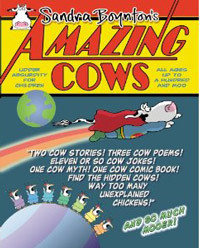 If you want to meet your ratio of daily cow sightings, just read a book about pigs! Previous Post Today’s cow is at the doughnut shop! Next Post Count cow bells with Elmo! God Bless you! You have a great sense of humor and your children are very fortunate to have you (and vise versa)! Great blog. . . .!